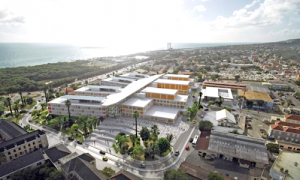 WILLEMSTAD - It is still unclear whether Kuido di Ambulance (FKA) or the ambulance service will be included in the new hospital Hospital Nobo Otrobanda (HNO). During an investigation of the Court of Audit, it became clear that the FKA has no quality policy and also no quality monitoring system. The Court of Audit indicates that during their investigation they noted that there is no policy when it comes to mental health care and training of the staff. It also noted that there is no material policy. There is, for example, no investment plan drawn up.